Pump Water will continue its partnership with the AFL signing on as the official water of the league for its 2018 season. Pump’s 2018 partnership will include a marketing campaign called ‘Pump up your team’ and will see Pump bottles labels changed to display team names, social influencer work, radio and in-store activity. For the time first time, Pump will also use individual players (Patrick Dangerfield, Rory Sloane and Nic Naitanui) to promote Pump water. Kara Morrow, Senior Brand Manager for Pump said she is “pumped” for the brand to be back partnering with the AFL. “We can’t wait to see how fans nationwide show their support and get behind their favourite teams this season,” Morrow said. 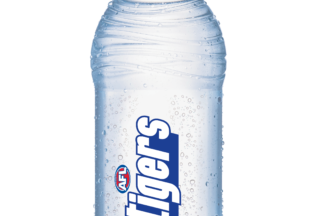 AFL General Manager of Commercial, Kylie Rogers said the AFL is excited to see the new Pump AFL water bottles in store and in the hands of fans this AFL season. “It’s a fantastic way to celebrate the start of the men’s season by Pump continuing, for the second straight year, to change their brand packing to feature all 18 AFL Club names,” Rogers said.